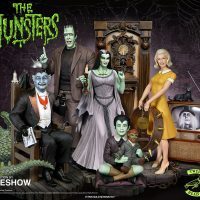 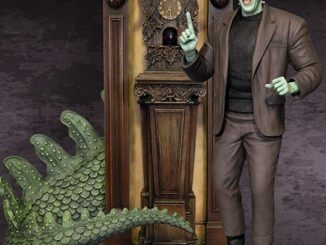 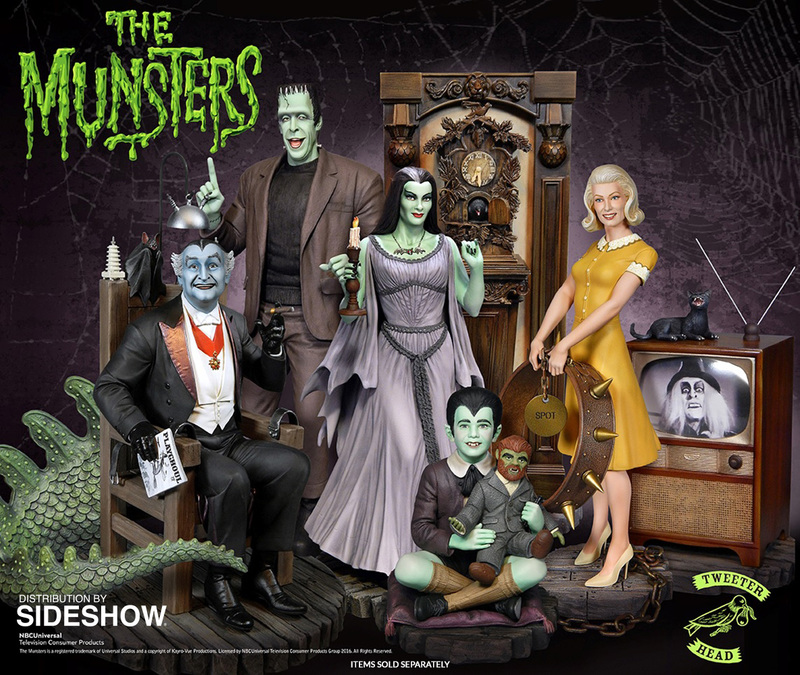 The whole gang has finally arrived at 1313 Mockingbird Lane with the Grandpa Munster Maquette appearing on the scene. 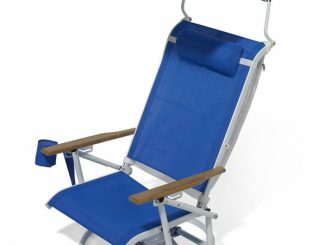 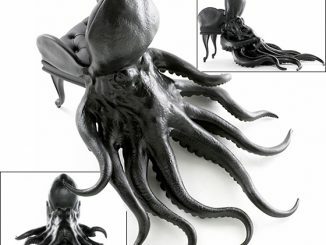 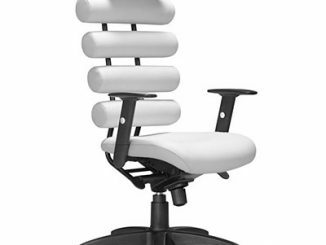 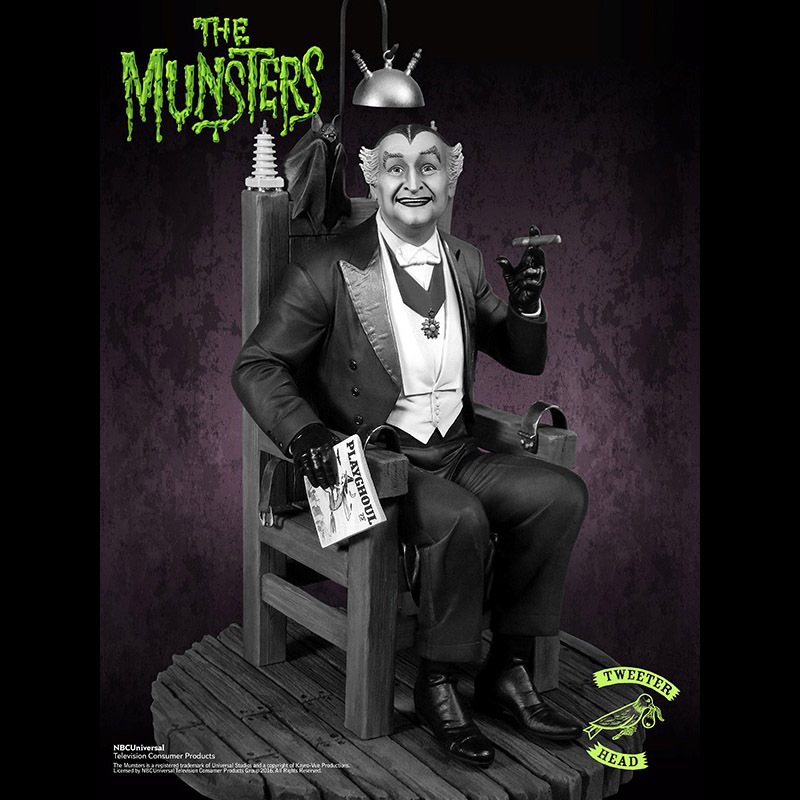 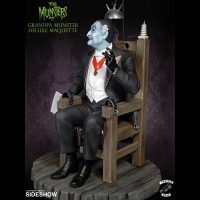 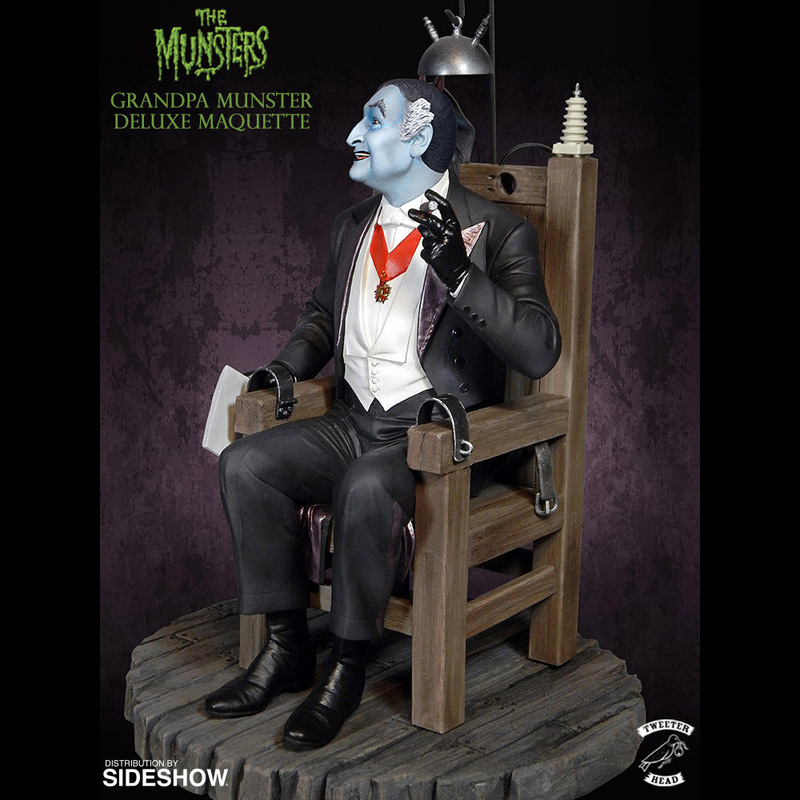 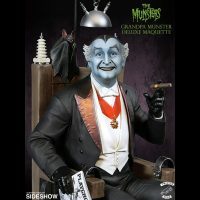 Measuring 11-inches tall, the wise-cracking vampire once known as Dracula relaxes on his comfy electric chair, enjoying a cigar and the latest edition of Playghoul magazine, preferring to simply be known as Grandpa these days. 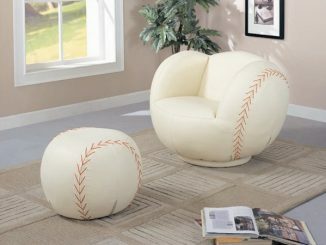 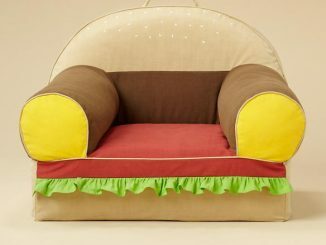 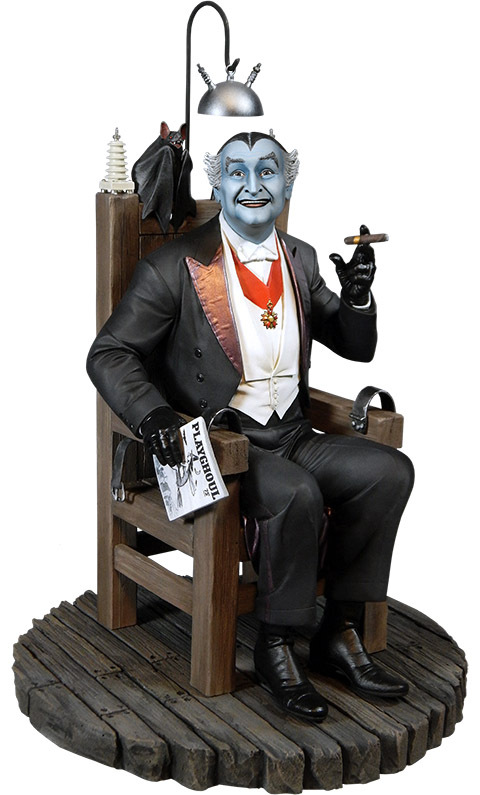 His pet bat, Igor, is perched on the backrest of the chair, perhaps hopeful that Grandpa’s magazine might have a few photos of some lady bats. 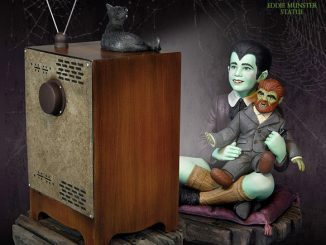 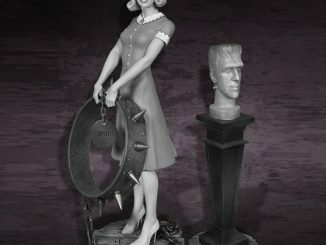 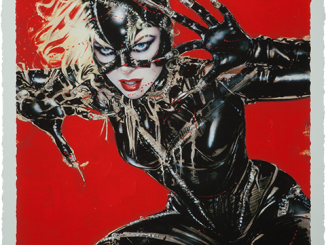 Cover art for Playghoul was created by pin-up artist Olivia de Berardinis..
You can complete the Munster household with Herman, Lily, Eddie, Marilyn, and Spot. 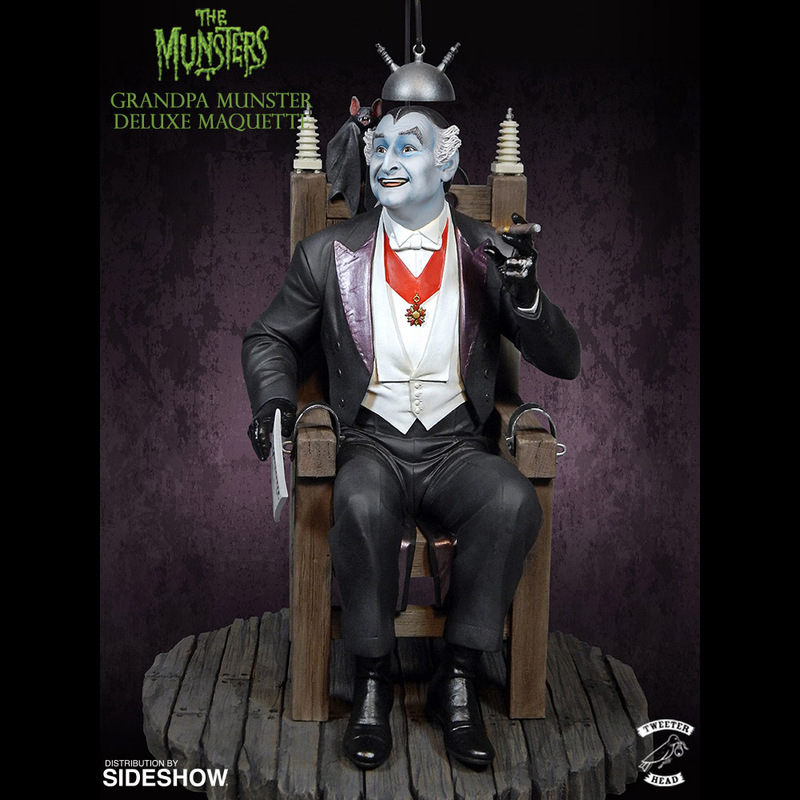 The Grandpa Munster Maquette will be available Jul 2016 – Sep 2016 but it can be pre-ordered now for $264.99 at Sideshow Collectibles. 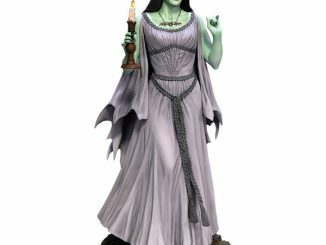 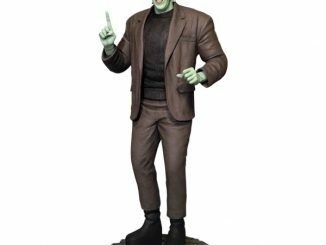 A special limited edition black and white Grandpa Munster maquette is also available for $264.99 exclusively at Tweeterhead.